One Stop Creates Omaha, Nebraska office is prod to announce another new small business launch! 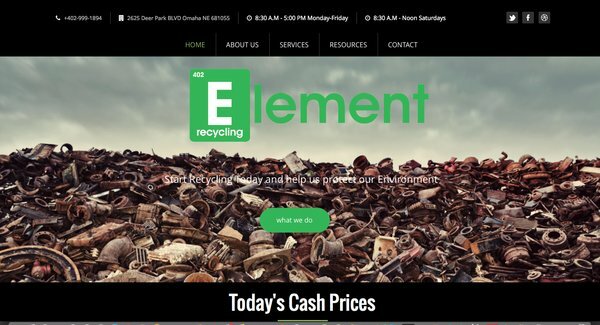 Help us at OneStopCreates congratulate Kyle & Element Recycling. There website just launched and they are the go-to for recycling in Omaha. Tell him OneStop sent you! If you are in the market for a new custom website design, or in need of a redesign, give us a call at (402) 522-6139 reach out to us at OneStopCreates.com.